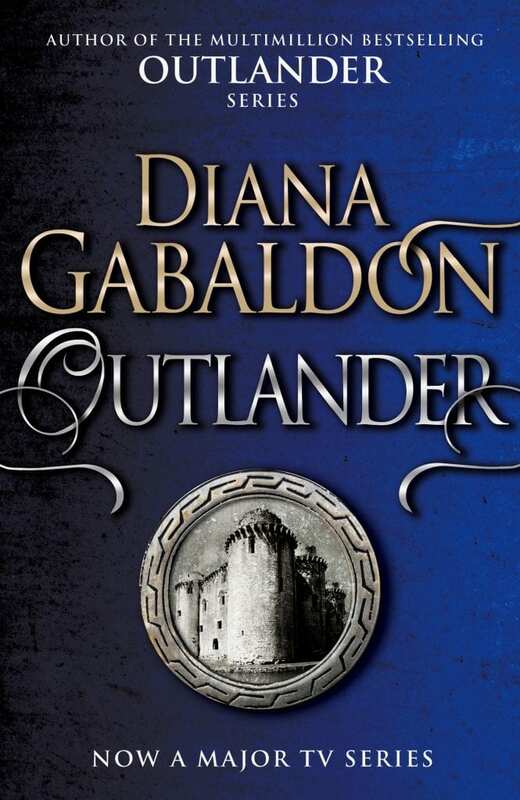 The results of our most recent reader poll are in, and the winner – by a mere 2% of the vote – is international sensation Diana Gabaldon’s sweeping and fantastical historical romance, Outlander! Gabaldon’s tale of time-travel, war, intrigue, and passion exploded into the popular realm following its adaptation into a Starz original TV series – and today, we subject this first book (originally titled Cross Stitch) to an AutoCrit bestseller breakdown. When it comes to the line editing of this heaving tome, we want to see what’s good, what’s great, and what’s not so great. How does it stack up against your own editing efforts? Can we find any bad habits, or is Gabaldon’s skill entirely above reproach? So warm up a haggis, set the bagpipes aside, and come with us once again as we respectfully ask… What’s the Score? Right out of the gate, Outlander hits the highest AutoCrit Summary Score we’ve seen so far in this series (at the time of publication) – an impressive 84.11. As always, when we’re editing with AutoCrit, we want to pay the closest attention to the fingerprint analysis. Where is the system indicating the greatest number of potential issues? In a spread that looks similar to most other novels we’ve explored, we can see the highest levels of concern are raised in strong writing, word choice, and repetition. Strong writing is definitely the bulk of the focus here – but before we investigate that, let’s take a look at the points of least concern, so we can see what’s going well within the pages of Outlander. There’s a slightly larger percentage of slow-paced paragraphs here than we’ve seen in other novels, but it’s a very mild variance. Given Outlander is a weighty piece of work, and romantic novels tend to have more instances of slower pace, we don’t see any reason at all to be concerned. In fact, the difference is less than 1% between Gabaldon’s novel and The Next Always by Nora Roberts. Remember – sentences longer than 30 words tend to become red flags. Beyond that count, they can be confusing to parse, so it’s best to break them up where possible. Gabaldon does a sterling job keeping that down, with an average of 13 words per sentence, and 40 per paragraph. Looking at a section of the sentence variation graph gives us an indication of overall pacing. Here, we have the ups and downs we expect to see, and the similarities with other bestselling works are clear – especially with the longer spike come what we assume to be the third act transition. There are certainly more troughs here compared to our other romantic specimen, The Next Always, which looks like a solid indicator of Outlander’s more heightened conflict – what with the time travel, sparring clans, and Scottish highland warfare. At a glance, it looks like any work on the pacing side of things for this novel can be shoved aside as a final consideration! Our first big surprise here – given the dialogue section presents only 6.7% of potential problems in the entire manuscript – is the dialogue tags readout. As a general rule, we like to see greater use of ‘said’ and ‘asked’ than anything else… but in Outlander, alternatives are actually used more often. To explain this, we need to look at the word-level breakdown. Two things can be noted here. First, ‘said’ is the individual tag that’s used most often, and by some margin. That’s good. Second, ‘said’ is marked as being overused. There’s a clue there. Since Outlander is a mammoth book – split into three parts – directly comparing it to average best-selling fiction is going to reveal markers for overuse of single words. That’s inescapable, so at this point we’d have to slip into advisory mode with how (as the author) we tackle this report. Alternate tags such as ‘demanded,’ ‘murmured,’ ‘observed,’ and ‘agreed’ also seem to be used rather often, so we’d spend some time running through the manuscript with those highlighted – just to see whether the dialogue would be presented in a more involving way by using a less explanatory tag. Another option – which is always viable – is to re-write conversations so they barely use tags at all. This can make for a better flow, and an automatic understanding of the tone of the back-and-forth between characters, without having to resort to tags to tell how things are being said. That’s a pretty major increase versus other books we’ve tested, which are usually in the 2-5% range. In Outlander’s case, almost 20% of all dialogue is punctuated with an adverb – something that can become very annoying as it adds unnecessary syllables to the flow of speech, and fails to display characters’ emotions organically. Looking at the most frequent adverbs in dialogue, the red flags look valid. There’s plenty of ‘softly,’ which might be just fine in romance but is certainly worth a look – but others such as ‘impatiently,’ ‘hastily,’ and ‘curiously’ are prime targets for the chop. Since ‘curiously’ could be accused of being redundant – questions are, generally, conveyed with curiosity by their very nature – we decided to switch to the manuscript and see what’s going on over there. Indeed, over here we can see that ‘curiously’ shows up across multiple conversations, always with a character ‘asking curiously.’ The use of ‘hastily’ also catches the eye in this shot – it doesn’t feel like it belongs there. An interruption is an interruption. The word feels extraneous. Perhaps we’re just picky, but it looks as though Outlander could benefit from an afternoon or two of anti-adverb savagery when it comes to the dialogue. What do you think? Moving to the strong writing category, where it appears the most improvement for Outlander is to be sought, we can see that the overall adverbs count isn’t actually bad compared to general bestselling fiction standards. As we’ve mentioned, that’s because even though there is some definite overuse happening throughout, their ratio held within the expansive length of the book levels things out. Still, given we’ve identified a potential problem on the dialogue side, it’s a certainty that levels could be improved here without detriment to the story – so we’re going to remain on the adverbs-hunting boat, and suggest some extra effort there. Up next, unnecessary filler words come in at an average level – but with only a small number of individual words making the difference. This is a quick and easy win if you see this type of readout with your own manuscript. Just zip over to the editor, scroll through the highlights, and see how easily you can reduce it. The clichés count is a pleasant one – looking not much higher than other best-selling books we’ve inspected. There are certainly bigger fish to fry (see what we did there?) within this manuscript, so clichés aren’t something we’d worry about until a final draft cleanup – if at all. Looking at redundancies and repetition, Gabaldon’s score is excellent. There’s nothing we’d pay a whole lot of attention to, here. Notice how the most repeated words are specific to the story – uncommon words such as ‘ye,’ and names like Jamie and Dougal. 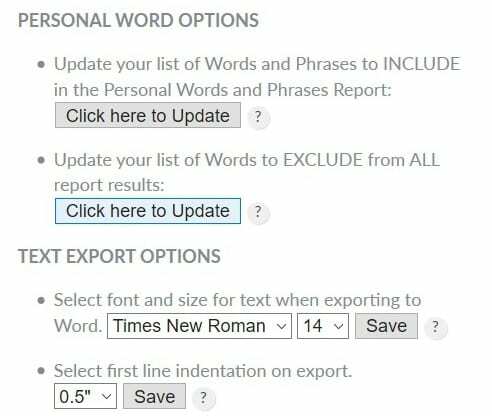 If you wanted to dig deeper into this with your own manuscript, you could exclude those words using AutoCrit’s personal words feature and re-run the report to bring you a new list of words you might want to cut down on. This can be a good idea in sci-fi or fantasy, for example, where you’re using conjured terms, names, or places that feature heavily in the story. For this overview, however, we’re not going to wallop Outlander at all. We will be using the personal words function, though – for reasons you’ll see in a little later in this breakdown. Showing vs. telling indicators are handled on the word level – and they’re within the average level here (the real problems begin when you hit the red). Looking on a per-word basis, overuse is low – just a few specific words. Those words such as ‘feel,’ ‘feeling,’ and ‘see’ could use a quick check in the editor, just to confirm whether they’re being used within a beneficial context, and not to describe a character’s feelings or sensations directly. The hunch here is that they aren’t – but it’s always worth checking. Shifting to the word choice category, generic descriptions in Gabaldon’s prose are, once again, right within the average part of the scale for successful novels. There’s a high chance this category could be shifted into the good part of the scale with just a little extra time and effort. Last up on word choice, the number of –ly sentence starters isn’t far off the average. Glancing at this, we’d drop it down the “to do” pile and save it for the final draft polish. More problematic looking, though, is the initial pronoun report. This indicates that almost half of the sentences in the novel begin with a personal pronoun – but while it may look alarming here, it isn’t necessarily a problem for Outlander. Why? Because it’s written in first person point of view. But that does bring us to something we touched on earlier… because if you were thinking the strong writing category report looked a little short, you’d be right. You’d be forgiven if your eyes nearly popped out of your head upon seeing a passive voice report so deeply in the red – but it isn’t necessarily a true condemnation of your writing. With a quick glance, we can see that the majority of Outlander is detected as taking place in past tense. In terms of verbiage, past tense can sometimes look a lot like passive voice, even when it isn’t – especially to modern Artificial Intelligence when it’s combing through text. Looking at the individual word level, we can see language that could indicate passive constructions (the object was past participle verb by the subject) – but given what we know about the tense of the prose, it’s likely they’re not being used in that manner. The solution is to exclude the words that are reported as most common here. Sadly, artificial intelligence isn’t developed enough (yet) to understand grammatical constructions at this fine a level with total clarity. We do what we can to benefit from it anyway. Not that we think it would necessarily be a good thing if AI was that advanced. Every author should remain as engaged with their text as possible throughout every stage of writing and publishing. Editing should never be passive – letting an over-simplified, robotic, push-button solution zip through your writing and automatically adjust it would likely rob it of creative life. More importantly, being completely hands-off would also rob you of the chance to learn from the feedback, improve your skills as you go, and stay fully invested in the quality of what you produce. That would be truly dystopian, wouldn’t it? Given the already high score for Gabaldon’s manuscript, this is of minor concern in the wider picture. With the highest number of identified problems coming in this category under this specific report, it’s easy to see that this novel is more than ready for prime time. But we still want to run a small test. There’s just one other thing we want to look at before that happens. Yep – as we’ve seen happen before, using AutoCrit’s genre comparison to compare Outlander to novels in the romance niche specifically, the score remains close, but rises. If this happens to you, you can safely assume you’re on the right track! But what about our little test? So there we have it – the highest score in this series so far goes to Diana Gabaldon’s smash hit Outlander. With just a few swings of the scythe when it comes to adverbs, this manuscript would probably break its way right into the 90s. Regardless, this is an extremely strong competitor that quite clearly hit the market in superb shape. But before we call it a day, let’s take a parting glance at the readability statistics. It’s a fact that most successful fiction tends to stay at an easily-accessible level of complexity, so how does Outlander fare? A Flesch Reading Ease score of 78 plants Outlander in the “easy to read” category – digestible by an average 7th-grader, and built with borderline conversational language. And that’s it for this round. A superb effort and a clear leading score for Diana Gabaldon’s Outlander. Sure, it can be tempting to nitpick – but the market response doesn’t lie. This one’s a winner. As always, we hope this bestseller breakdown helps put your own scoring and editing efforts into context, and offers a little extra guidance you can adapt to your own process. Keep writing, keep editing, and keep creating! Interesting, if she used autocrit the results change. I am a huge fan of Diana Gabaldon’s Outlander Series. Each book is easily read, with wonderful character development, and great touches of Scottish History. After reading the results of AutoCrit’s great editing program, and the overall high score, even with low scores in several areas, she still presented a good story, intimate characters, and descriptive historical events worthy of reading by many, many, individuals, and the reward of increasing her popularity by the on going television series.. I find inspiring and “reassuring” these fabulous analysis of famous books. Please, do not stop doing it. It is so useful. Thank you. Thank you so much for this terrific analysis. It gives me faith and confidence that my writing is not as bad as I think it must be compared to top selling authors like Diana Gabaldon. Editing chapter by chapter, I have even on occasion touched the 90’s. Thanks for a great programme. These are great and very insightful. Please keep them up! One question: For the percentage scores (such as “% of paragraphs with slow pacing”) how do we know what is a “good” or “average” score? You seem to know as you mention them, but I don’t see any indication in the report of good or bad — it’s just a raw percentage. One important thing to keep in mind when working with AutoCrit is that when you look at the fingerprint analysis (let’s say it states 40% in Strong Writing, 3.5% in Pacing, 8% in Dialogue, and so on) it doesn’t mean that 40% of your writing *is* a problem. Rather, the percentages are a split of your individual manuscript as a whole. The combination of those numbers will always add up to 100%. The system just lets you know which parts may need the most attention, based on comparisons with other books. It isn’t designed to be judgmental, but a quick and easy guide as to where your focus should go. But while the fingerprint percentages can shift, so too will the summary score. As that gets higher, your writing is getting tighter. Eventually, you’ll reach a point where making changes doesn’t feel right from your perspective — and as the author, that’s when you can make the decision to forge on, or call it a day for that draft. As to what’s good and what’s bad, it’s all fluid. This is a creative field, so there are no absolutes. An easy example would be repetition for comedic effect. The system will naturally flag that for you as a potential problem/oversight, but you’re the author and you know what you were doing there, so it isn’t a problem. In that case, you can exclude the repetition from the reporting, or put your attention elsewhere. Love the evaluation of established, commercially successful works! I just finished my first book and found AutoCrit today. I dumped my whole draft in and braced myself for a low score then boom! 92%. You guys are great for my ego.